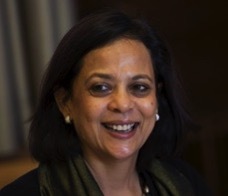 Archana Patkar received her MSc in Social Policy in 1994 from the London School of Economics and Political Science (LSE). She also holds an MA in French Studies from Jawaharlal Nehru University and was the Founder and Managing Director of Junction Social, located in the greater Mumbai Area from June 1998 to February 2010 (11 years 9 months). She has been a program manager at the WSSCC since 2010.